My 2014 Fantasy Football Draft Guide is ready for purchase. It is $5.99 and will be updated and expanded upon in real-time during the entire off-season (i.e. up until the first game of the regular season). I take a lot of pride in this Fantasy Football Draft Guide and consider it to be one of the most up-to-date, detailed, and accurate draft guides anywhere. You can buy it now directly below or scroll down to read more about its features before buying. Player descriptions will continually be added and the rankings will be expanded upon as the off-season progresses. These changes will be automatically updated within the draft guide as they are made on my end. 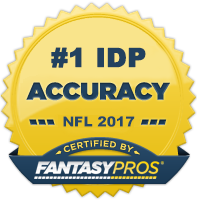 To purchase a guide, you must click the "Buy Now" button below or contact me via email at theidpguru@idpguru.com. After your full payment is received via PayPal, you will receive an email from me which will contain the login instructions. 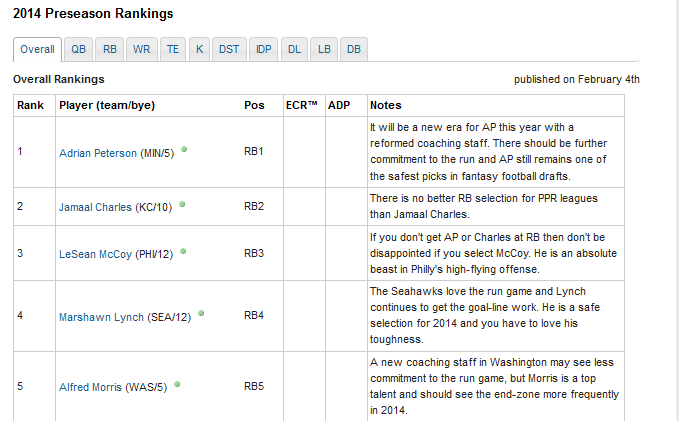 Again, Thank You for choosing The IDP Guru to assist you with your 2014 Fantasy Football Draft. If you have any questions, please feel free to contact me. *Sample screenshots are only representative of a portion of the rankings overview. 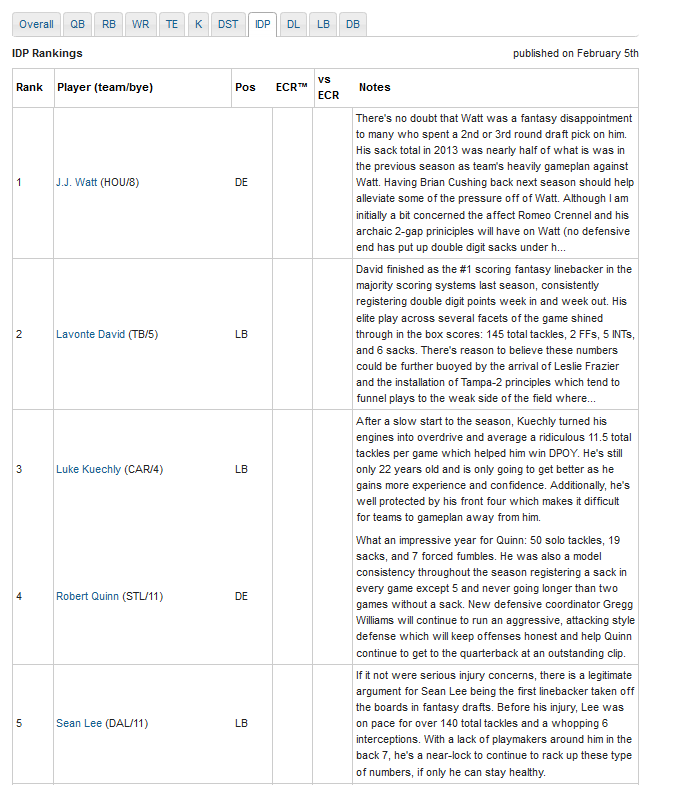 The actual draft guide contains a much more expansive list of positions and ranking depth along with descriptions and other important ranking criteria.